Feb 12, 2017: M6 Sport vs. Anker as Jaybird alternatives. 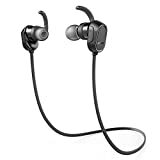 Aug 10, 2018: Help - Advice on in-ear headphone purchase. Feb 28, 2019: I woke up this morning to my gf crying. My dog had gotten into her favorite pair of headphones. We don’t know what type of headphones these are and have been trying to find a new pair as we knew he’d get into it eventually. What are these headphones?